The construction of Kandy’s first ever mixed development real estate project has now been completed. Dynasty Residencies is a 19 storey Residential Apartment Complex with superior amenities developed by GVR Lanka; a BOI approved Real Estate and Property Development Company founded by a Sri Lankan-born, US-based entrepreneur. With this project, the developer’s aim was to create a unique high-end lifestyle residential development to bring much needed economic growth in the second largest city in Sri Lanka, climbing the ranks as the next best investment destination after Colombo. Statistic show that 70% to 80% of all tourists who visit the country make a trip to Kandy. 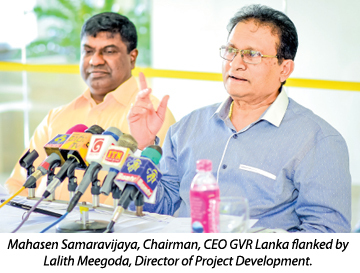 This coupled with the target of 4.5 million tourists that are projected to arrive by 2020, it is expected that there will be an increasing demand for star-class accommodation units in Kandy. 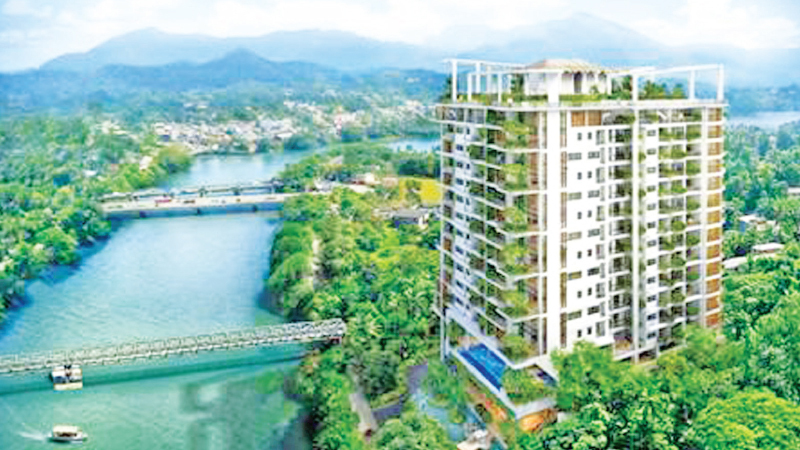 This project is the first and only apartment complex to be constructed within 30 metres from the Mahaweli River, proving to be another unique characteristic of this complex. Dynasty Residence is the first apartment complex to win US Green Building LEED (Leadership in Energy and Environmental Designs) Gold certification in Sri Lanka. Thus, clients have been provided with the best in class architecture, sustainability and engineering advances. As a result, tenants can experience luxurious yet environmentally conscious living. The complex offers residents a choice of 17 different layouts that are a fusion of Sri Lankan and European influences that can be experienced in two types of one bedroom apartments, five types of two bedroom apartments, eight types of three bedroom apartments, five unique sky villas and four penthouses. The sky villas feature double height ceilings while the penthouses have their own private sky garden and golf-putting area. In addition to the apartments being 1.5 times larger than those in Colombo, all units include acoustic controls in order to abate noise pollution. Residents can enjoy scenic views of the Hantana Mountains, Mahaweli River, and the Knuckles and Hunnasgiriya ranges. This also means that the complex is in close proximity to the Sri Dalada Maligawa, Peradeniya Botanical Gardens and the Victoria Golf Club. The amenities for those who choose to live here are endless featuring a restaurant and mini market, BBQ area with space for private functions, an outdoor and indoor gyms, an infinity pool overlooking the river and a 170-metre rooftop jogging track and meditation area. Dynasty Residencies goes a step further by offering their very own in-house doctor. This practically eliminates the need to leave the complex. With phase one of this project completed, the developers aim to initiate phase two in the near future, comprising of a multi storied star-class hotel, consisting of all the luxuries and amenities that can be expected from a project of this calibre.